As more and more messaging is thrown at consumers, it is becoming harder to stand out. Messaging is becoming similar and brands are starting to fade together. As a brand, you must look within to find differentiating characteristics in order to stand out from the competition. Do you want to stand out in 2016? 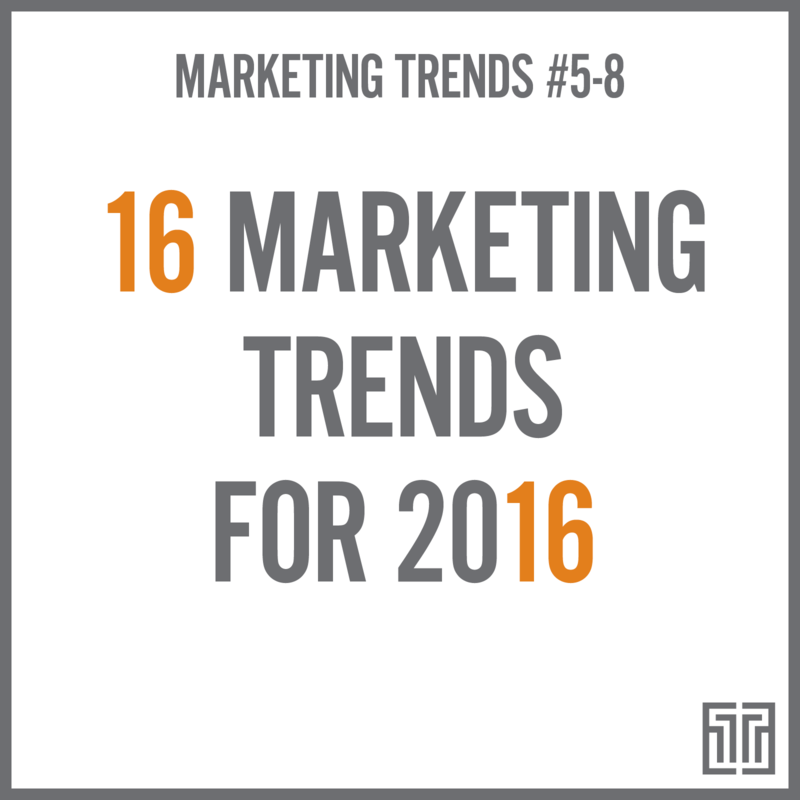 These 4 marketing trends may help to distinguish your brand is a world of sensory overload. 1 Pulizzi, Joe. “What Effective B2B Marketing Looks Like [New Research]”. Content Marketing Institute. 30 September 2015. Web. 1 October 2015. 2 SiriusDecisions. “B-to-B Marketing Automation Study”. Sirius Decisions. n.d. Web. 1 October 2015. 3 Software Advice and Research Now. “Demand Generation Benchmark”. Software Advice. n.d. Web. 1 October 2015. 4 Miller, Melissa. “Inbound Leads Cost 62% Less than Outbound [New Data]”. HubSpot. 1 March 2011. Web. 1 October 2015.